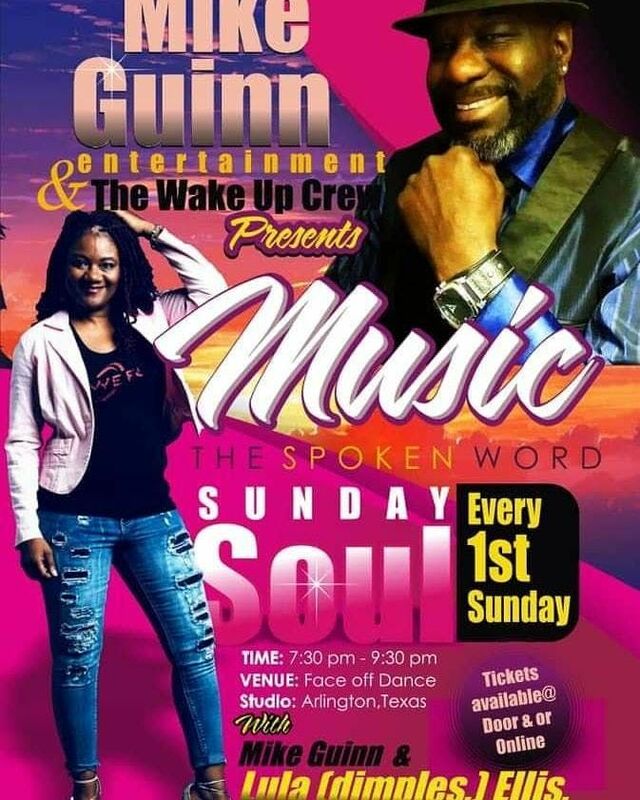 Mike Guinn Entertainment In Association With Lend Me Your Ear Ministries Presents Sunday Evening Soul (Natonal Poetry Month Edition) Sunday April 7th,2019 Doors open at 7pm Show starts at 7:30p-9:30pm Face Off Dance Studio & Event Center Ticket: $15 General Admission $20 Upfront Seating/Priority Dining. HOSTED BY Mike Guinn & Sistah Lula Ellis of the Wake Up Crew Radio. This event has the best of both worlds. NOT TOO CHURCH-NOT TOO CLUB- JUST RIGHT! Join us for a powerful, profanity free, high energy evening of music, art, poetry and creative conversation. Sunday Evening Soul features some of the best local talent with national appeal. Featuring BACK BYPOPULAR DEMAND!! 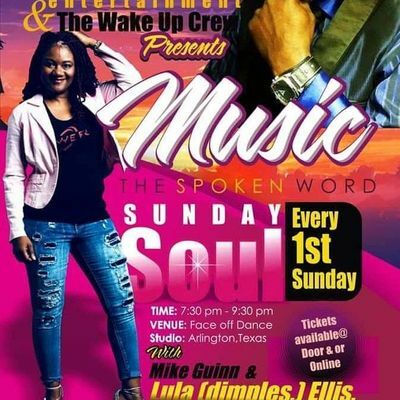 Singer and vocalist Deon White Our special guest will be a DFW Poet Nadene VanPelt Chris Knowone Bradford Lopa Banerjee Ms. Manaiya Nevaeh Guinn and Comedian/Poet/Host Derrick Jack Tickets are only $15 advance and include Wine, Refreshments and more. Click Link to secure your seats. SEE YOU THERE!